Is there a better alternative to DigWords? Is DigWords really the best app in Card and Board category? Will DigWords work good on macOS 10.13.4? 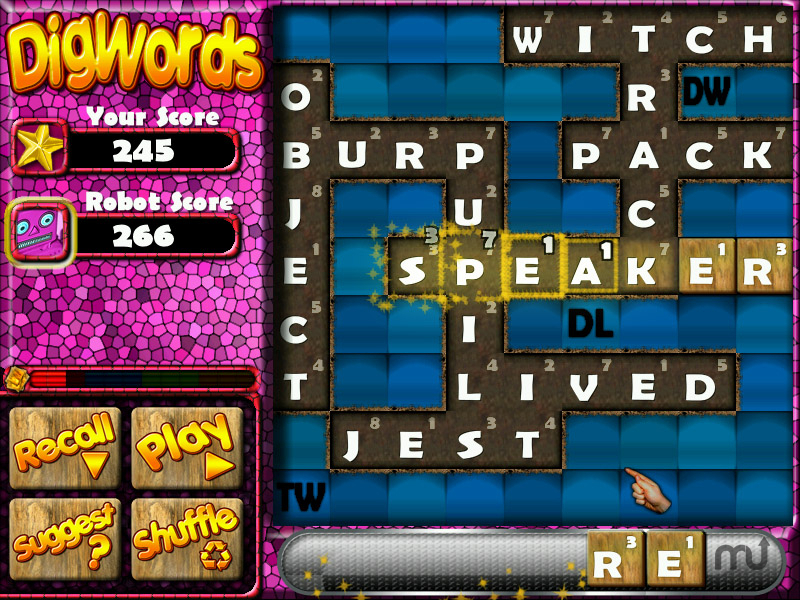 DigWords is a Crossword style board game using familiar Scrabble-like word building rules. A game lasts for just 12 rounds, with a fresh set of 7 letters in each round. The game board is a 9-by-9 grid, so it takes some skill and planning to make best use of the limited space available. The game is designed for solo play, but opponents can play alongside on separate boards, taking turns to place the same 7 letters in each round. Online mode lets you play DigWords with friends around the world. Removed some archaic words from the common/suggested words list. Fixed an error with continued game error messages. Updated word definitions for some common words. DigWords needs a review. Be the first to review this app and get the discussion started! DigWords needs a rating. Be the first to rate this app and get the discussion started!